A little girl with a very strong will: "Mummy I'm going to be a pianist!" When Alice Sara Ott was 3, she didn't ask her mother if she could take piano lessons: she simply announced, "Mummy I'm going to be a pianist!" Her mother was appalled at the idea, and exclaimed, "For God's sake, no!" She warned her daughter to have a normal childhood, but it was already too late to reverse Alice's decision. "My mother has had really bad luck, because my sister Mona, who is 3 years younger than me, has become a pianist too." Alice, who is now 26, cannot repress a smile when she recalls this memorable moment. It was an emotional confrontation with her mother and herself - the first manifestation of a very strong will. Alice still remembers it as if it were yesterday. "My parents took me to a concert for the first time when I was 3," she says in her warm, melodious voice, which clearly reflects her musical nature. "We always had music about us at home in Munich, because my mother was a professional pianist: it was part and parcel of our daily life. We had a grand piano at home, so I was used to being surrounded by music for as long as I can remember. We had lots of musical friends too. But that concert was the first time I really paid attention to the music. It was a piano recital given by one of my parents' friends." The funny thing is that her parents only took Alice to the concert because they couldn't find a babysitter for her. So it was only by chance that she was immersed in a musical bath that awakened her love for music and ultimately set her off on a musical career. "When I saw that for the first time, I was fascinated by the fact that one man with that instrument could keep a whole audience enthralled for two whole hours. I realised immediately that I wanted to be able to do that too. I thought that if I could do what that man could, up there on the stage for 2 hours, then people would finally understand me. My motivation was really very simple. I had found a language that would give me much greater powers of expression and persuasion than any spoken language. Every child needs to be understood, every child has emotions, and if they cannot express them they are reduced to screaming and crying. And if a child realises that it cannot express itself in a human language, it will have to find some other means of expression. As far as I was concerned, that was music." "Practising on my mother's Yamaha." Alice Sara Ott's mother is Japanese and her father is German. They moved from Japan to Germany at the end of the eighties because her father, who was a civil engineer, had found work there and her mother was interested in German culture. The couple's two musical daughters were born in Munich - Alice in 1988 and Mona in 1991. After Alice had persisted in her demands for a year, her mother finally allowed her to have piano lessons when she was 4. From that point onwards, both her parents gave her their unconditional backing. "My parents were very supportive of our musical development," says Alice, "but they took care to ensure that we grew up as normal, healthy children. That was the main point, as far as they were concerned. Nevertheless, everything started really early. My sister and I always took part in master classes and competitions. I started off playing on my mother's Yamaha for a few years, and after that I had private lessons from a Hungarian music teacher in Munich until I was 12. The main thing I appreciated in his approach was that he didn't start off with a whole series of technical exercises based on Czerny and Hanon études, which is the normal way to teach children. He thought you could develop all the necessary technical skills just by playing the pieces you were interested in." "Johann Sebastian Bach was my first musical love!" "I only played Bach during my first 3 years with this Hungarian teacher. Johann Sebastian Bach was my first musical love! In retrospect, that was a great way to start. It gave me a solid basis for my further development. I could feel the challenge of his polyphonic compositions from a very young age: Bach was like a jigsaw puzzle for me. It was so fascinating, I lost all sense of time when I was playing. I regarded Bach's music as very individual; it required deep thought to play it properly, and you need that kind of continual challenge as a child. As an adult too, but especially when you're a child you always want to do things better and solve new puzzles. That made playing pure pleasure. I was still a child then, I hadn't had long discussions about what it means to be a pianist; I was just having fun. I spent so much time on the piano that my mother thought it must be ruining my health, and she would pull me away from it!" "We can only open doors for you," said Karl-Heinz Kämmerling, "but you have to go through them yourself." When Alice was 12, Professor Karl-Heinz Kämmerling from the Mozarteum in Salzburg accepted her as a pupil. She had classes with him every Saturday for seven years, until she was 19. During the week she was at school in Munich. "Kämmerling taught me for two hours every Saturday afternoon," Alice says. "When I joined the class at the age of 12, the level was incredibly high: there were lots of extremely talented students. Most were adults, though there were a few younger ones. It was very inspiring, because he also gave master classes. Kämmerling, who died in 2012, had many students who later became very successful. He gave 10 master classes a year at that time, all over the world. Many students used to follow him around to take the master classes. And he gave a 'class concert' every evening. I learned a lot there: you heard different interpretations, and you could learn a lot from the other students too. What I specially appreciated was the way he taught us independence and individuality. Kämmerling's lessons were special. It was never simply a matter of me playing a piece and him showing me how it should be done: we would have long discussions, looking for 'solutions' for particular pieces or trying to get the tone colour or the mood right. He encouraged me to think things through, to find my own way. Sometimes his view would differ from mine, and then we would talk it over, but if he found the way I argued my case convincing he would accept it. He always told me, 'Alice, we're not here to promote your career or to show you where to go. We can only open doors for you, but you have to go through them yourself. It's up to you to choose your path." There she was then, a self-confident, gifted young teenager, exchanging ideas about music at top level with her eminent teacher. While her parents took care to ensure a healthy balance in her day-to-day life, she was free to embank on an exciting voyage of musical discovery. Every Saturday she took the train from Munich to Salzburg for her classes with Karl-Heinz Kämmerling at the Mozarteum, the Mecca of the European musical world where some 1600 talented young musicians receive a thorough grounding at university level in more than 40 subjects related to the practice and teaching of music and the dramatic arts. A new challenge: "I wanted to learn Chopin's Scherzo No. 2." "It was an enormous privilege for me," Alice enthuses. "One of the incidents I remember most clearly is the discussion - not an argument - we had about whether I was ready to play Chopin's Scherzo No. 2 in B flat minor. I wanted to learn how to play the piece, but his initial reaction was that I was still too young for it. Someone had told me that it was exceptionally difficult, but I saw it as a challenge I had to accept. He told me that he needed to have some time to think about the idea. When I arrived home in Munich that day, I got a phone call from him. He told me, 'It will be a steep learning curve, Alice, with lots of barriers to overcome. But if you are convinced you can play the piece, go ahead and play it.' So I did. Of course, he was a big personality and I could be very stubborn, so we did have our difficult moments over the years. But I stayed with him for nearly 8 years, and looking back I can see that he taught me one very important thing: to be true to yourself." Alice's highly successful career so far can be seen almost as a logical consequence of her very thorough training. She gave her first concert when she was only 16, and in the 10 years since then she has recorded six CD's with music by Liszt, Chopin and Mussorgsky, among others. She has performed with many leading orchestras at the most important musical venues in the world. 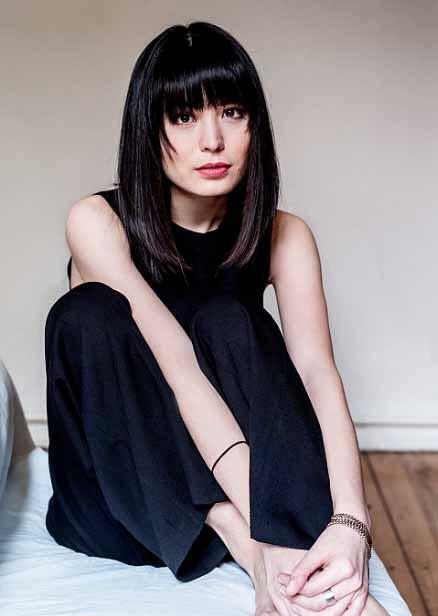 Alice Sara Ott has won awards at a number of piano competitions, including the first prize - the Silvio Bengali Prize - at the 2004 Val Tidone International Music Competition in Italy. "It's always different with each new orchestra," Alice says. "If you don't know the orchestra, the first 10 minutes are vital, because they determine whether the members of the orchestra and you can find a common musical language to communicate in. In fact, I love the interaction with other musicians, because it takes place in such a pure language - a language that we all understand. The certainty that we all think the same way gives a moment of complete happiness. That is why I am a musician, those are the moments I live for." Alice Sara Ott and Francesco Tristano, an experimental classical pianist from Luxembourg who also plays the clarinet, are one of the most exciting piano duos of the current generation. In the above video clip they play a dramatic piece entitled "Scandale" - an allusion to the public sensation caused by the 1913 performance of the ballet The Rite of Spring (Le Sacre du Printemps) in Paris by Sergei Diaghilev's Ballets Russes company, with music by Igor Stravinsky and choreography by Vaslav Nijinsky. "Diaghilev's Ballets Russes and Stravinsky's music completely changed the worlds of music and art," says Alice. "There was a near-riot in the audience when the work was premiered. Paris society had very conservative tastes at that time, and they were not yet ready for such physical dancing and such polyrhythmic, polytonal music. Diaghilev was years ahead of his time. He wanted to leave the present behind, to create something that would blow up the entire existing frame of reference. He tried to create an entirely new world. That's what all his activities over a 20-year period were aimed at. He brought together the top performers of the time, and gave them the room they needed to do their work. He was a real revolutionary." "I have always had a very warm reception from Japanese audiences." Alice Sara Ott will be on tour again in Japan, her mother country, in May 2015. Japanese language and culture are very close to her heart. Her grandparents lived there, her mother is Japanese, this is where her roots are. "I've been playing in Japan since I was 16, that's more than 10 years now. There have been between 2 and 4 tours every year. There are wonderful concert halls in Japan, with incredibly good acoustics, and my Japanese fans are very faithful and enthusiastic. I sometimes recognise the faces of people who have been coming to my concerts for the past six years! I always get a very warm reception from Japanese audiences. The last time I was there, I played 10 recitals. There are some auditoria where I have already performed for 5 or 6 times." There is no country, apart from Germany, where Alice has played as often as in Japan. "Yes, absolutely. Europe is still my main base, but my performances in Japan have been very important for my career - and for me personally. I was very fortunate to have grown up in Munich. It's a fantastic city for culture, but also has a lot to offer in the field of languages. I went to Japanese classes there, every Saturday for 14 years, from the age of 4 to 18. As a result, I grew upbilingual, and I'm very glad of that now because it means that I don't need an interpreter in Japan. You could say that Japanese is my second mother tongue. You always regard you mother tongue from a different perspective than a new language. But Japanese is a very descriptive language: you need to know at least 10,000 characters to read a newspaper properly. It is a very poetic, mobile language. Any given word can have a number of quite different, specific meanings; and a given character can be pronounced in several different ways. Separate words can evoke almost the same kind of emotions as music does. I love Japanese, it's a beautiful language." "Berlin is a multicultural city, where I can be myself. That is very refreshing." 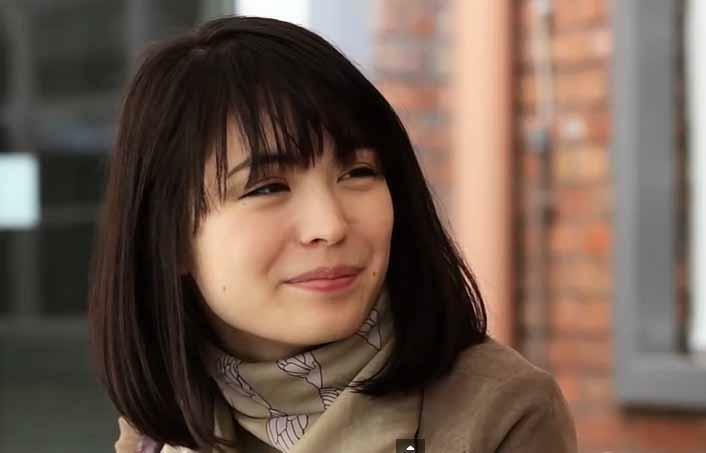 Alice Sara Ott, who gets her love of music from her mother and her big hands from her father, enjoys living in Berlin. With so many artistic types in the city, you can be yourself, an anonymous unit as you walk down the street or you can go shopping at midnight - which Alice loves to do. "I live in Berlin because you don't stand out among so many different people. I love Munich and it will always be my home town, but Berlin is a multicultural city where nobody cares what colour your skin is or what nationality you are. People never ask me where I come from. And I like that, the feeling of not being special, just being part of the crowd, you know. A colourful crowd. It is actually very nice to have a simple everyday life there, I find that really refreshing, because in our business we have to deal with so much tension and enthusiasm, so I treasure the balance life in Berlin has given me." "People try to make you believe that classical music is for intellectuals. That's not true at all." "I am very grateful that I can live for my passion," Alice says, "but it is important to realise - and to show other people - that there is nothing elitist about classical music. There is a tendency to think that classical music is not for ordinary people, that you have to be intellectual, rich and educated to enjoy it, but that's not true at all. You don't need education to enjoy classical music: listening to classical music is an education in itself. And you don't need to be an intellectual to understand classical music. Music is there for everybody. I certainly wasn't an intellectual when I chose a life in music at the age of 3: I just realised, even then, that music offered me the language I needed to communicate with others. I believe that it is my job and that of my fellow musicians to bring the present generation back to classical music, to show them how emotional, touching, interesting and adventurous it can be." Alice is also critical of the strict code of conduct that tends to apply in concert halls. "There are so many rules, you know. Some musicians get really annoyed when people in the audience cough, for example, or clap between the movements. The audience is not supposed to express any emotion. I don't like the dress code either. I think people should be able to come to a concert in whatever clothes that they feel comfortable in, and sit in any way that makes them feel comfortable. People cannot enjoy music if they feel obliged to dress up in stiff, uncomfortable clothes to listen to it. Personally, I always play barefoot on stage - and at home. I don't wear high heels anymore. I know now how comfortable I feel when I play barefoot. I need to be myself on stage, and I want the audience to have the same freedom. They need to feel comfortable too."